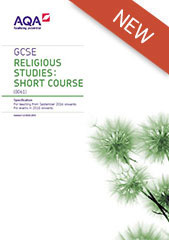 Why AQA GCSE Religious Studies? We've listened to teachers and built on our experience and expertise in assessment to create stimulating and contemporary courses. Our GCSEs are full of engaging themes that will promote classroom interest and awareness of relevant, contemporary issues.